The Order of St. John of Jerusalem is one of the oldest institutions of Western and Christian civilization. Present in Palestine in around 1050, it is a lay religious Order, traditionally of military, chivalrous, noble nature. Its 13,500 members include Professed Friars and others who have made the promise of obedience. The other Knights and Dames are lay members, devoted to the exercise of Christian virtue and charity. What distinguishes the Knights and Dames of Malta is their commitment to reaching their spiritual perfection within the Church and to expending their energies serving the poor and the sick. 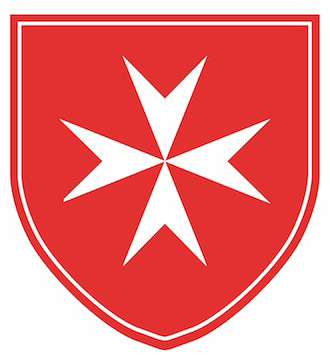 The Order of Malta remains true to its inspiring principles, summarized in the motto “Tuitio Fidei et Obsequium Pauperum”, nurturing, witnessing and protecting the Faith and assistance to the poor and the suffering, which become reality through the voluntary work carried out by Dames and Knights in humanitarian assistance and medical and social activities. Today the Order carries out these activities in over 120 countries. The Sovereign Order of Malta is a sovereign subject of international law, with its own constitution, passports, stamps, and public institutions. The Order has diplomatic relations with 104 countries – many of which are non-Catholic – and missions to major European countries, as well as to European and international organizations. The Order of Malta is neutral, impartial and non-political, which is why it can successfully act as a mediator between States.